Anli has produced, researched for and directed Television documentaries. In 2006 the documentary: Hitler's Bunker: The Last Survivior Speaks researched and produced by Anli made it onto the shortlist for the Best BBC Documentary of the year. She also wrote about this shoot and its difficulties in her book. 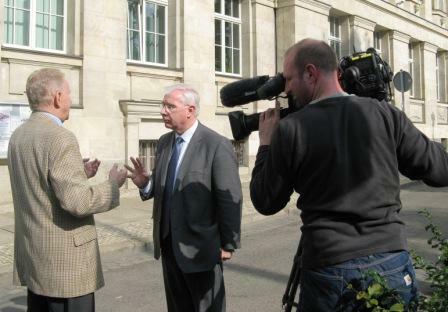 Bernd Freytag von Loringhoven, a military aide to the German Chief of staff in 1945 and the only living survivor of Adolf Hitler's Berlin bunker who was in daily contact with Hitler at the end, speaks exclusively to the BBC's diplomatic correspondent Brian Hanrahan at his home in Munich. The six documentary programmes with the most votes in BBC World's Best Of The Year: Documentary online poll have today been announced. Throughout November, BBC World viewers have had the opportunity to vote for the most outstanding documentary programme shown on the channel this year, from a selection of 15 documentaries – many of which are award-winning BBC productions.